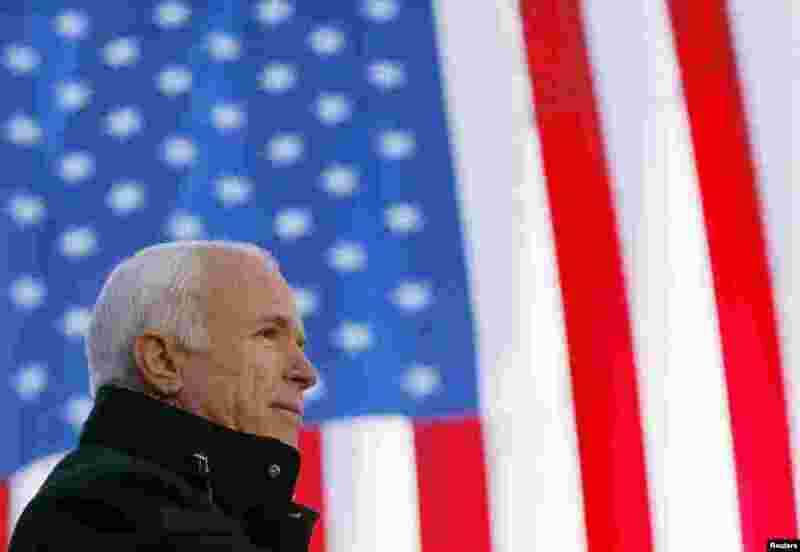 Arizona Senator John McCain, an American war hero has died. He was 81. The Senator's office says he died Saturday after a long battle with glioblastoma, a form of brain cancer. 1 U.S. Republican presidential nominee Senator John McCain (R-AZ) speaks at a campaign rally in Defiance, Ohio, Oct. 30, 2008. 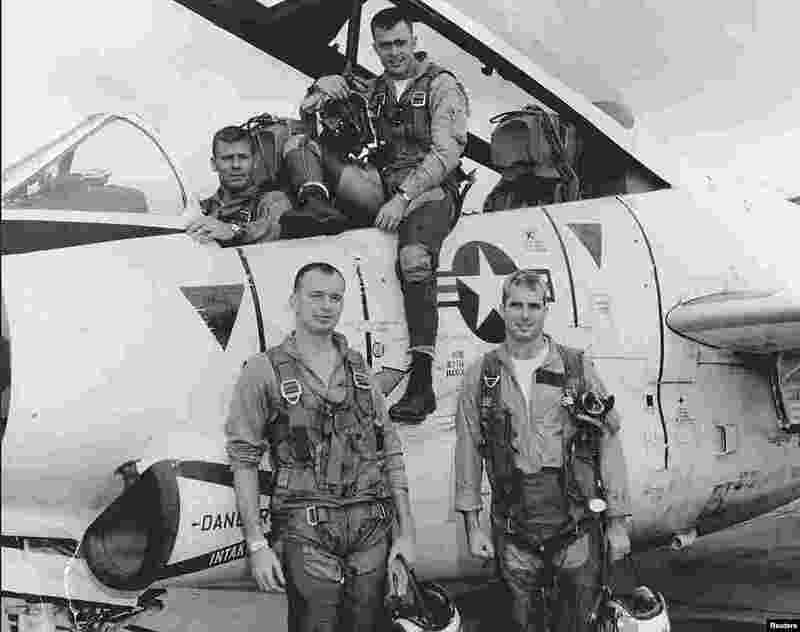 2 John McCain (Bottom R) poses with his U.S. Navy squadron in 1965. 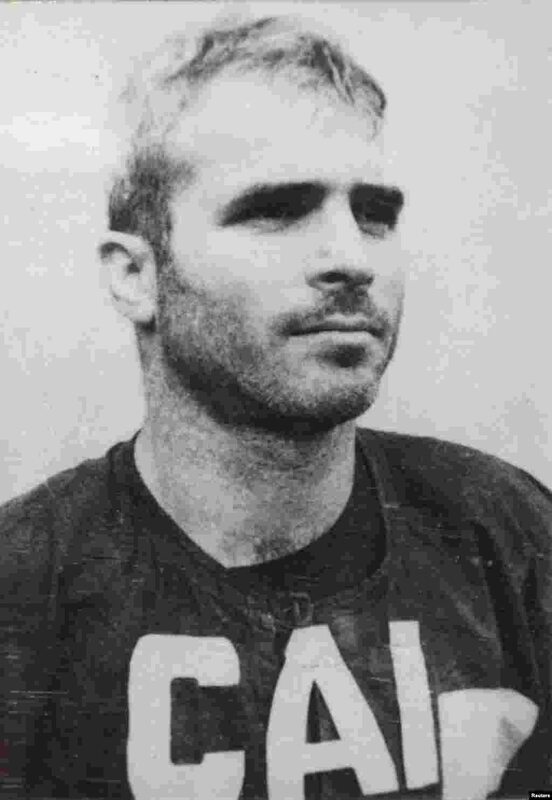 3 A black and white photograph taken in 1967 of then captured navy pilot John McCain is shown as part of an exhibit on American prisoners of war in Hanoi's Hoa Lo prison April 28. 4 U.S. Navy Lt. Comdr. 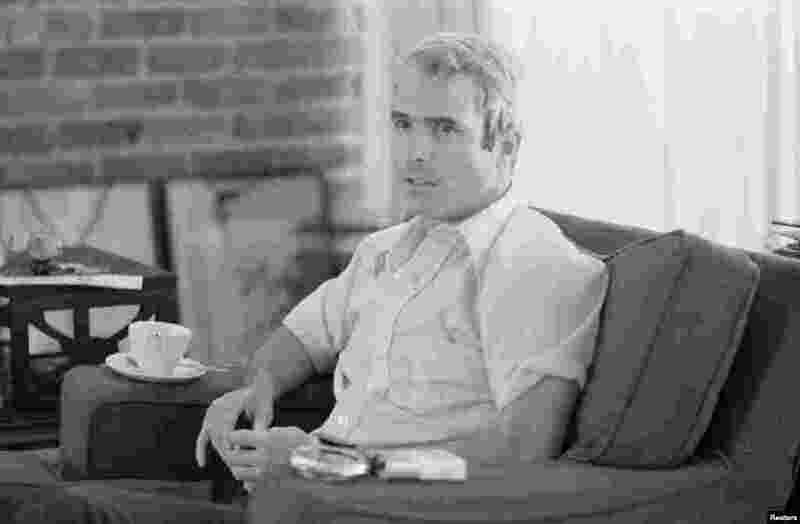 John S. McCain is interviewed about his experiences as a prisoner of war during the war in Vietnam, April 24, 1973.